Support is vital to survival, without it no business or individual will last long. It impacts all aspects of what we do, and comes in too many forms and manners to fully explain. From the financial support we receive from granting agencies to the support provided by our volunteer mentors to our participants it is in everything we do as an organization. As we celebrate 10 years as an organization there is no way we can thank everyone that has provided Elevation Outdoors with support over the years. The biggest thing we can do in our community is take the support we receive and give back to the young people we work with, and support their families to help create opportunities that may not otherwise exist. It is through this thought process that we have been able to create our Youth Sponsorship program in an effort to create some possibility for a few deserving young people each year. As part of our Learn to Shred program our Youth Sponsorship is a result of the support we receive from our sponsors. Our volunteer crew has the privilege of selecting one participant from each program based on their overall attitude, willingness to learn, attendance, and passion for the sport to receive the sponsorship. 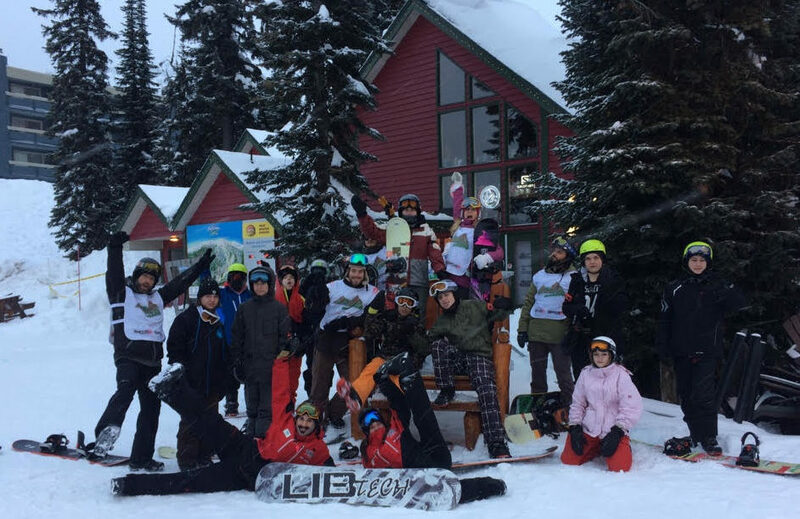 As one of our goals is to break down barriers to participation for young people, the youth selected receives all the equipment they would need to continue snowboarding for years to come after completing our program. In 2018 one of our long-time sponsors for the Learn to Shred program, Rip Curl, stepped up and asked how they could get more involved with this opportunity as they saw the impact it can create in a young person’s life. 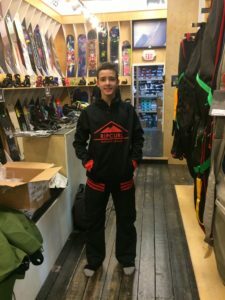 In an effort to help keep this sponsorship viable they provided us with an amazing package of outerwear, base layers, socks, toques and facemasks to outfit a winner to go along with a snowboard, boots, pack and helmet that we have from our other sponsors and supporters. To see the look on a young person’s face, and see the pride in their parents’ eyes, when they are told they are the recipient of this award is something all of our team involved will never forget. Without passion life is a dull version of what it could be. Having the ability to support the passion of a few young people each year in this manner rings true to our mission and our values as an organization. This is just one small example of the many ways the support provided to our organization can create a lasting impact on our community and in the lives of the participants in our programs. We want to say a big THANK YOU to every person, organization, granting agency, funder, board member, and volunteer that has lent us support over our first 10 years. As we look towards the future we are excited about the direction we are headed, and in our ability to support countless more young people in their journey of self-discovery as they try new activities, develop new friendships, and hopefully find a lifelong passion that will support them through the good times and the bad that life inevitably brings to all of us. Without each and every one of you we would not be where we are today; with a strong foundation as an organization dreaming of what the next 10 years will bring.